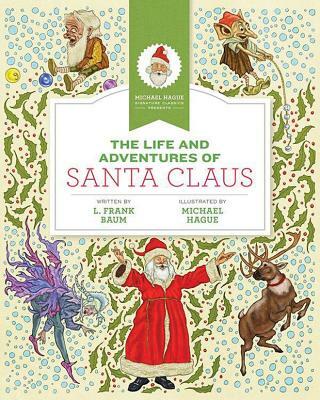 In this enchanting illustrated children's novel from L. Frank Baum, the author of the beloved book The Wonderful Wizard of Oz, we learn about Santa Claus's life--where he came from, where he got his magical powers, and how he became the jolly man who gives out gifts for Christmas. The story was first published in 1902 and is now available in a richly illustrated edition that blends delicate ink drawings and lush watercolor paintings by acclaimed artist Michael Hague. Richly imagined, strikingly beautiful, and filled with the magic of Christmas, this is the quintessential edition of this classic holiday tale.